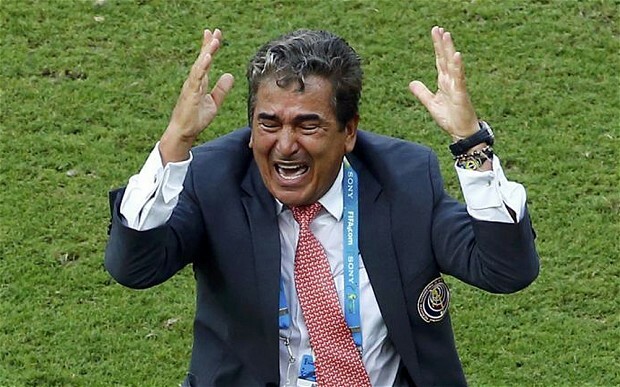 So that’s how it ends for CONCACAF in 2014: Costa Rica knocked out on penalties after an inspired bit of man-management and gamesmanship by Louis van Gaal. It is disappointing, for they came so close to an utterly improbable semifinal appearance – and it would have been fun to see how Los Ticos’ defense coped with Leo Messi. But we won’t get that treat until…who knows? Maybe Copa America in 2016. We can hope. For now, here’s a look back at Costa Rica’s last stand in Brazil, and the work of the man we should start calling Gallant Pinto. I thought Jorge Luis Pinto had blown it in the 66th minute, when he took Joel Campbell off and replaced him with Marcos Urena. Marcos Urena, the guy who appears to have scored one goal – anywhere – in the last three seasons. Enters a game in which, at the point he entered the field, Los Ticos had managed zero shots on target and won zero corners. It seemed a remarkable decision: to remove the man who almost single-handedly took down Uruguay and replace him with Urena, a man whose greatest achievement is his underachievement. The substitution appeared to signal a desire to play for the 0-0. Urena had previously been used in the tournament as a way to protect a lead: run the ball into corners, hold things up a bit at the other end of the pitch. It was both a surprise and no surprise at all when he registered Costa Rica’s first shot on target in the 117th minute: saved. This game was one-way traffic, pretty much from first to last. The Dutch had 67% of possession, attempted almost 700 passes, won 11 corners, tried 20 shots on goal. 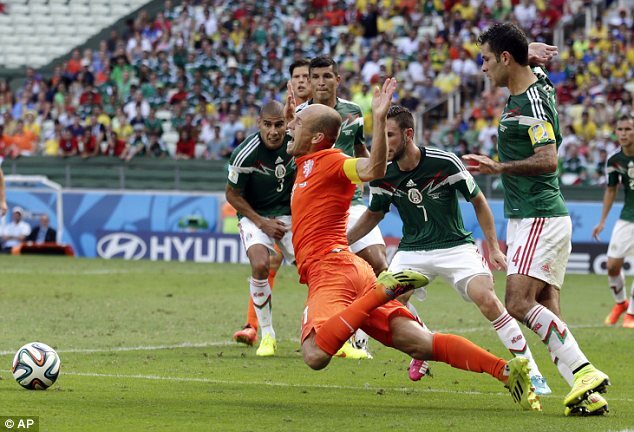 To resist, Los Ticos needed more than a little luck: the ball hit the post on several occasions, ricocheted around the box on a few others, Arjen Robben was a constant menace, and it seemed no sooner had the Costa Rican lines been cleared then the Dutch were back, clustering around their opponents’ penalty area with malicious intent. Keylor Navas played an immense game. Los Ticos wouldn’t have got out of the first half unscathed, let alone 120 minutes, without him. But also, one has to acknowledge this was the game plan. 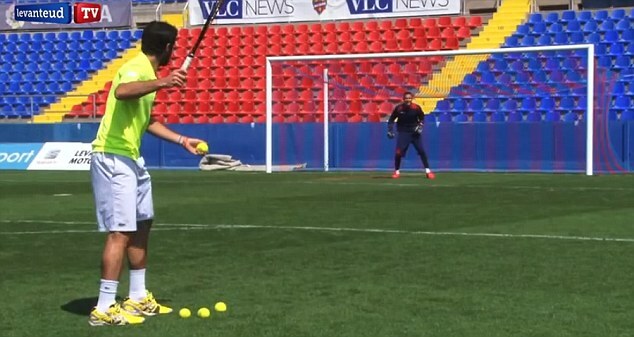 Jorge Luis Pinto has made no secret of his efforts to fashion a solid defensive unit as the backbone of this team. He did an excellent job. In this match, the statistics reveal the efficiency of Pinto’s defense. The Dutch tried 31 crosses, but only landed 19% (or six, in plain language). They were caught offside 13 times. And this was not some desperate, dirty, defensive effort. 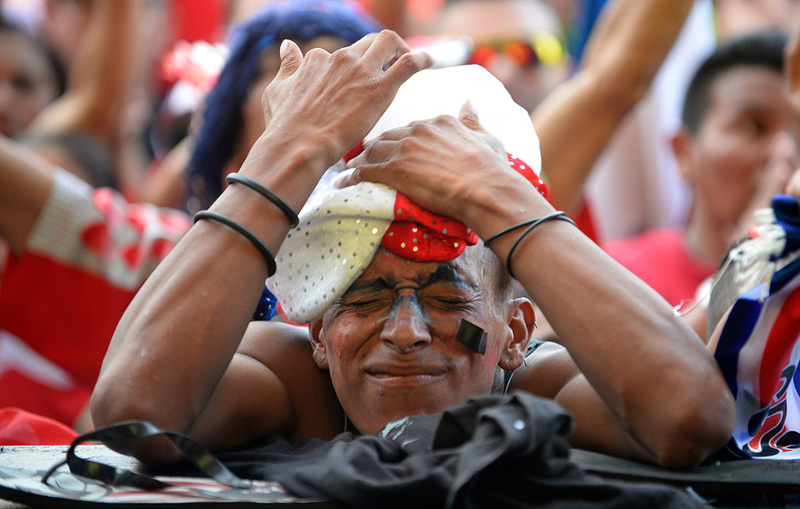 Costa Rica gave up 13 fouls, the second-least of any team in the quarterfinals. Sure, the referee managed the game with a relatively light touch: he whistled almost any contact on Arjen Robben as a foul, but a heavier-handed man would probably have sent Junior Diaz off for one too many hacks at the Dutch livewire. The Oranje got the benefit of the doubt on some awkward collisions in their own penalty area. Suffice it to say that if the standard for a penalty is what Rafa Marquez did to Robben in the previous round, then Costa Rica was denied at least two spot kicks. In other words, if any team got away with playing rough, it was the Netherlands more than Los Ticos. Throughout, Pinto’s team held its composure, retained its defensive shape, and did what it needed to do keep the Dutch at bay. He must surely be regarded as the coach of the tournament. The team on the field diminished before our eyes. First, Urena came on for Campbell. Next, in the 79th minute, David Myrie came on for Cristian Gamboa. Myrie is sort of the bad penny of Costa Rican football. He’s spent time playing in Spain – it didn’t work out. He was in MLS for the blink of an eye. He even landed in Norway, as a replacement at Fredrikstad for the man he replaced in this match: Gamboa. That didn’t work out either. Between those stints, Myrie has killed time in the Costa Rican leagues. 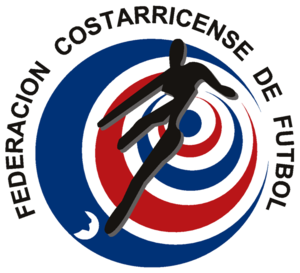 There are 12 teams in the top flight of Costa Rican football. 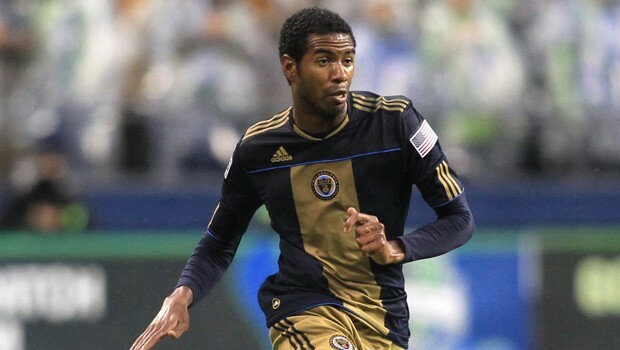 Myrie is 26; he’s already played for five clubs in his home country. And now he’s played 40-odd minutes in a World Cup quarterfinal, despite only being in the squad because Heiner Mora was injured in the pre-tournament training camp. Pinto started this tournament with his second-choice left back – the admirable Junior Diaz, who would have likely been watching Bryan Oviedo were it not for the latter’s injury. He finished it with a third-choice center back (Johnny Acosta deputizing for a suspended Oscar Duarte and an injured Roy Miller), and a third or fourth choice right back (Myrie probably doesn’t see the field if Acosta wasn’t already out there, and he shouldn’t have been in Brazil anyway). This was Pinto’s third consecutive game at this World Cup in which he, by choice or necessity, reshuffled the personnel on the back line. And it was only breached by the Greeks. 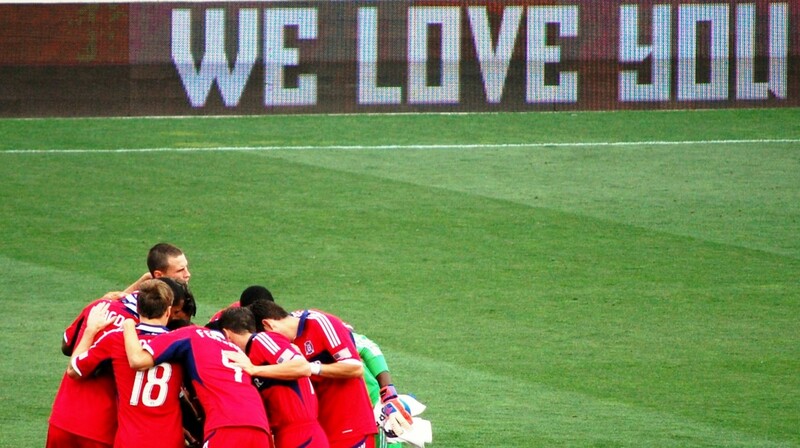 The team only conceded two goals in five games – with, essentially, the spare parts of its defense. Of the back five, only Giancarlo Gonzalez and Junior Diaz got to start and finish every game. Pinto’s defensive system, and his ability to get his players to buy into it and apply it effectively, is the single greatest coaching achievement of this World Cup. I said it. Prove me wrong. Unfortunately, on this day, Pinto’s gallant efforts were undone by the single savviest coaching move of the tournament to date. Louis van Gaal subbed his ‘keeper in injury time of extra time: Tim Krul, a man apparently selected by life to be a goalkeeper because he is roughly the size of a goalmouth, was brought on for Jasper Cillesen. This was surprising, and it sent a message: having suffered the futility of 120 minutes hammering at Costa Rica’s defense, the Dutch were not frustrated – they were prepared. In the shoot-out, Krul was a bombastic, lively presence. He pranced, he goaded, he apparently got into his opponents’ heads. Celso Borges’s opening penalty kick was weak, but snuck past Krul. Bryan Ruiz’s effort was weaker, and didn’t make it. The Dutch for their part, overcame a shaky start (Robin van Persie’s kick was almost saved by Navas) to blast their shots home with confidence and verve. 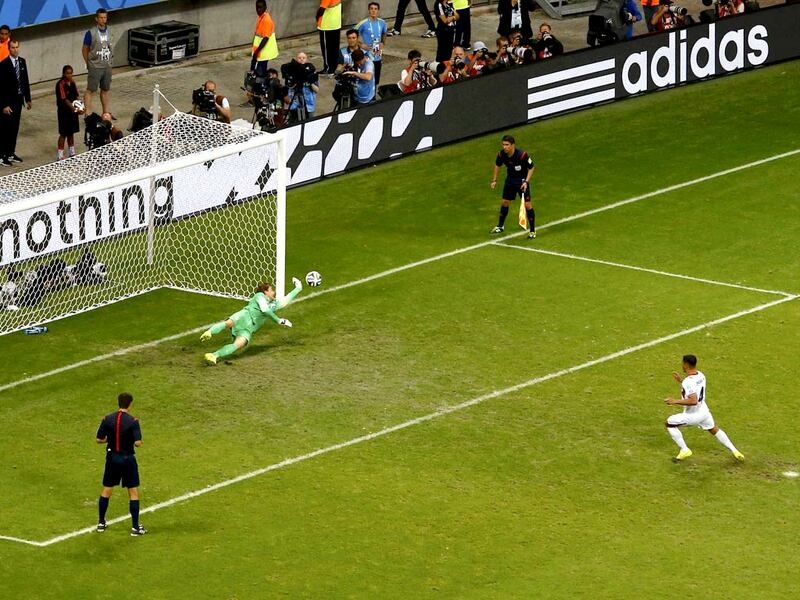 Costa Rica was beaten when Michael Umana’s kick followed Ruiz’s to Krul’s hands instead of the back of the net. So Los Ticos head home with heads high, unbeaten (official match records do not register penalty shootouts as wins or losses) but doubtless a little frustrated. Imagine what they might have achieved with their best possible selection? If Oviedo and Alvaro Saborio had not fallen before the tournament? This team is not old. The entire squad can plausibly be held together for a run at Gold Cup 2015, and to contest Copa America 2016 (assuming they are one of the CONCACAF qualifiers). Guys like Oviedo and Saborio should be back for those tournaments. Emerging players who just missed out this time around – defenders Jose Salvatierra and Christopher Meneses, midfielder Rodney Wallace, 20-year-old striker John Jairo Ruiz – may break through in the next couple of seasons. And the guys from this 23-man squad who announced themselves ready to compete with the world’s best – Joel Campbell, Yeltsin Tejeda, the unused but highly rated Diego Calvo – will hopefully kick on and develop into team leaders. 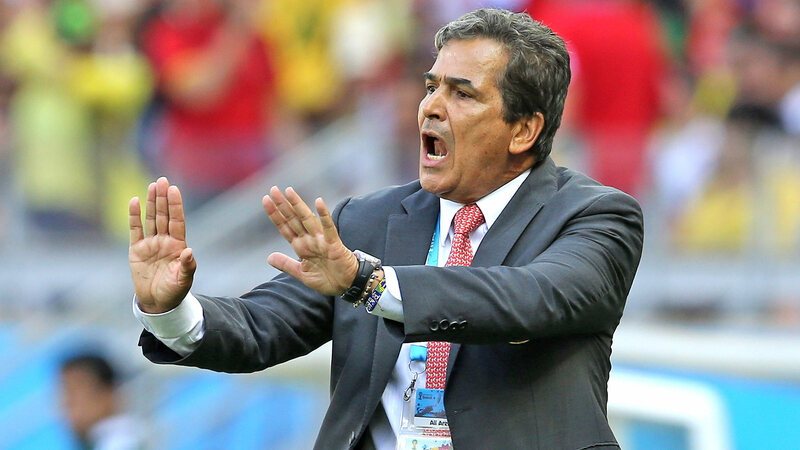 The biggest problem for Costa Rica, in terms of building on its best-ever World Cup performance is not the players, but the coach. Pinto may be in demand after this vindication of his coaching methods (which, ultimately, are a stalwart pragmatism), and Los Ticos may struggle to keep him. For the sake of Costa Rica and CONCACAF, one hopes he stays on for at least the next three major tournaments in his team’s future: Copa CentroAmericana, Gold Cup and (probably) Copa America. But he will probably have options to consider when he gets off the plane from Brazil.